Database fans, start your clocks: Microsoft announced Monday that its new version of SQL Server will be out of beta and ready for commercial release on June 1. The news means that companies waiting to pick up SQL Server 2016 until its general availability can start planning their adoption. SQL Server 2016 comes with a suite of new features over its predecessor, including a new Stretch Database function that allows users to store some of their data in a database on-premises and send infrequently used data to Microsoft's Azure cloud. An application connected to a database using that feature can still see all the data from different sources, though. Another marquee feature is the new Always Encrypted function, which makes it possible for users to encrypt data at the column level both at rest and in memory. That's still only scratching the surface of the software, which also supports creating mobile business intelligence dashboards and new functionality for big data applications. 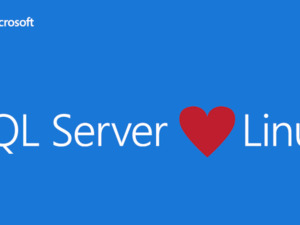 SQL Server 2016 will come in four editions: Enterprise, Standard, Developer and Express. The latter two will be available for free, similar to what Microsoft offered with SQL Server 2014. In addition to its on-premises release, Microsoft will also have a virtual machine available on June 1 through its Azure cloud platform that will make it easy for companies to deploy SQL Server 2016 in the cloud. All of this comes a few months after Microsoft shocked the world by announcing that it would also release SQL Server on Linux in the future. That's a powerful sign of Microsoft's strategy of making its tools available to users on a wide variety of platforms, even those that the company doesn't control.